If you plan on showing your work, you really need to start separating what you can’t live without from what you want to sell. This seems obvious, but you have to think about what you really want to sell and let go of. The pieces you want to keep are called ‘the artist’s collection‘. 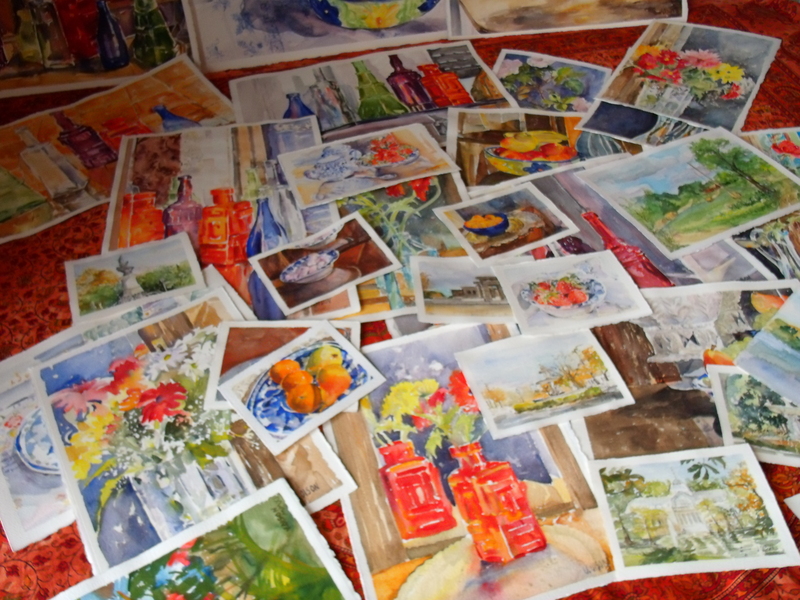 The work you want to sell and your ‘artist’s collection should be in two separate portfolios. 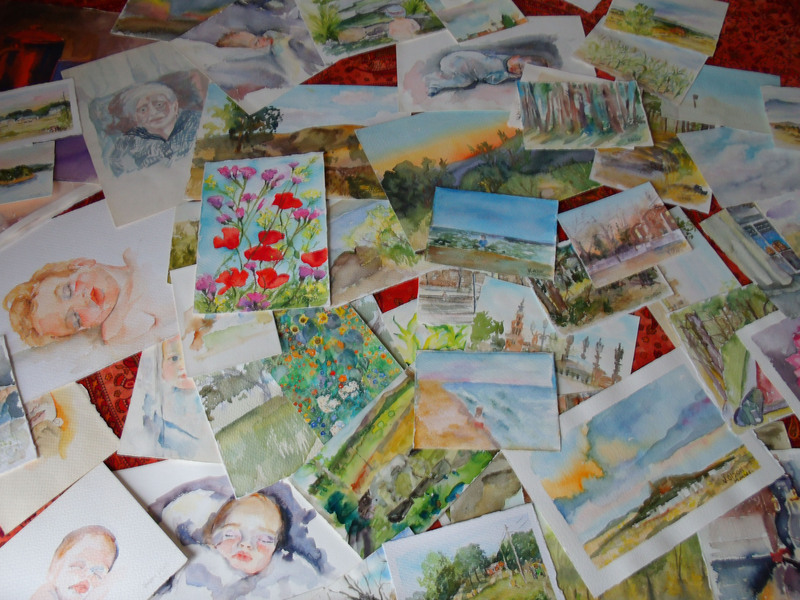 Another important point that can’t be emphasized enough – is that you must take a picture of every piece and record the size as soon as possible. When someone wants to acquire a painting of yours and you don’t have a picture, it’s too late. The painting just walked out the door and you don’t have a record of it for yourself. 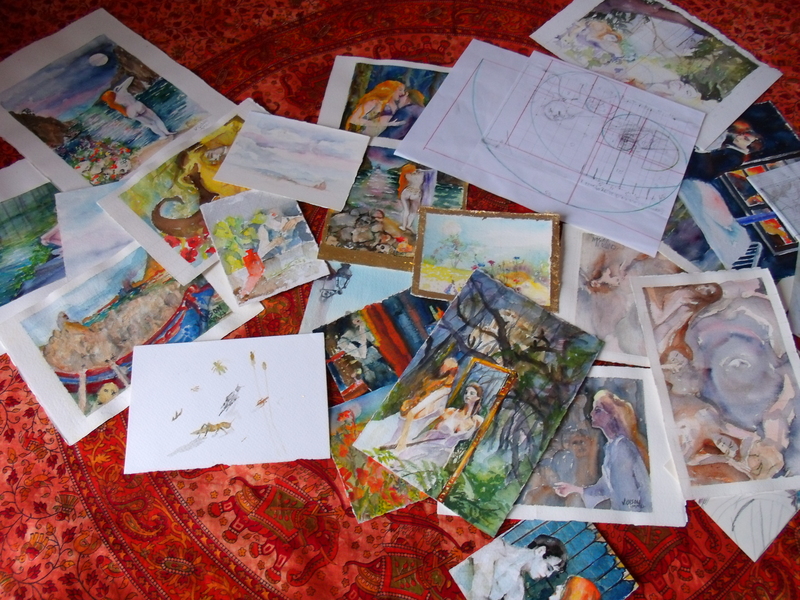 I have three portfolios: Portfolio, Artist’s Collection and Rough Drafts. ← Watercolor in Process: Fruit Bowl Finished. I love all of this inside information. Very useful for beginning artists like me. Thank you! Hi there, Yes, the most important think is to take a photo of all your work. That way you can still see them when they are gone.